FWIW, I just checked the cc in a new out-of-the-box Eddy 61775 cylinder head and it was 59cc. 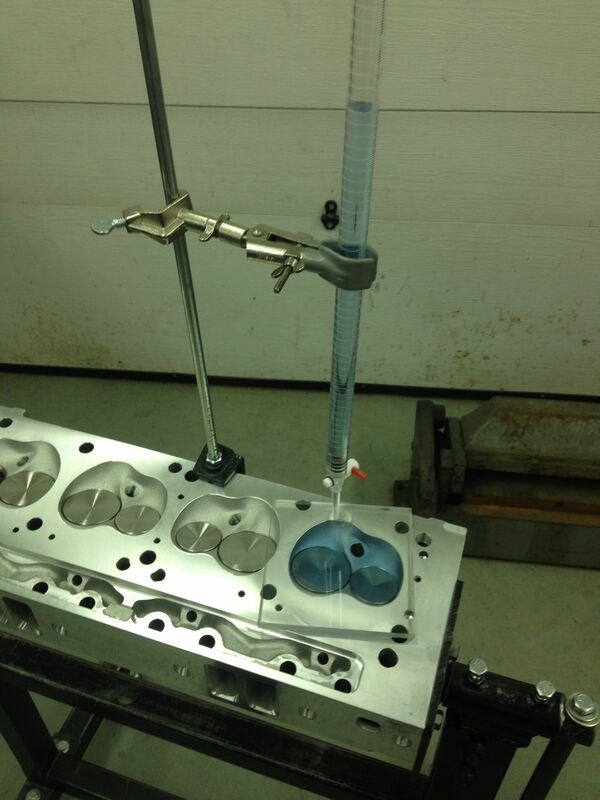 The last head I checked with the valves unshrouded was 61.5cc. I have the KB107's and EQ heads. I also went with the Hipotek HPT220X 110 LSA. Had to go with the Cometic gaskets (0.051 compressed). 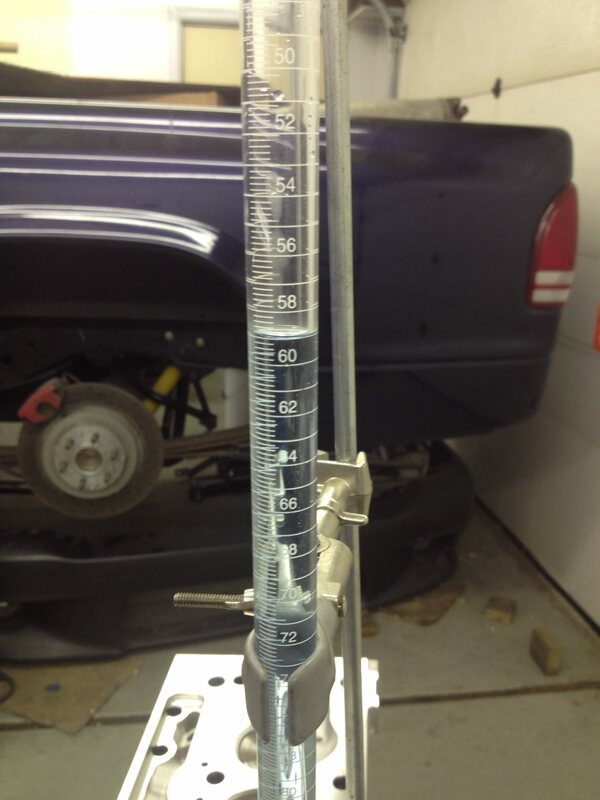 I had originally measured .012 out of the hole, but that was with the piston rocked in the bore. Numbers were more like .005 out of the hole on the quench side. The dynamic compression is 10.2 on the KB calculator. I just got it running - backfires out of the intake/TB. Waiting on a tuner from FRP. Hopefully here by the end of the week. The crazy felpros were 4.180 bore! Couldn't go with the felpro race gasket - too thin. The other felpros are pure headache - they all vary in thickness! 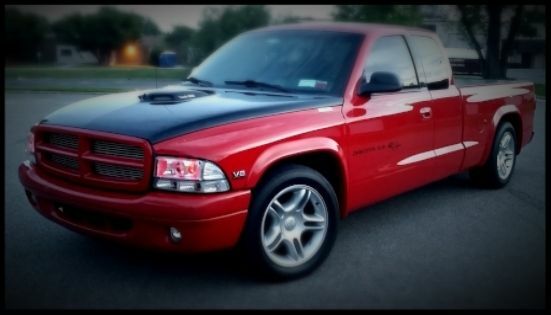 2001 Dakota R/T, Standard Cab...the Rat Roaster! Reviving this thread because I managed to get my hands on a good deal for eddys/comp 1.6 rockers/lifters/pushrods. I also bought an M1 2bbl and a cam a couple months ago so the parts are stacking up. Cam is Crane OPHY2634-10+1, 226/234 @.050 .552/.544 lift 110 LSA. I ditched the whole machining idea and am now looking at Icon 741 forged pistons which should be drop in with the same weight as stock pistons but give me zero deck (same compression height as the KB107s) so no balancing required. Seems like a solid plan to me. Assuming zero deck with those pistons and a 59cc chamber on the heads, perfect world would be Fel Pro 1008 gaskets to give me perfect quench and put me at a hair over 11.1 compression, dynamic compression 9.3 as that cam has a good amount of overlap. We'll see where the deck comes out to once the short block is assembled and I'll make my gasket choice then. Good to read you are moving ahead on the build! If my son has his engine bay painted and ready, I will be helping him get his engine installed here in 3 weeks or so. p.s. My son & I both ran into bad rocker arm geometry. It turned out our pushrod guides were too thick. He found these thinner pieces and ordered them. It brought alignment back into place, so I bought a set as well. With the Eddy heads it may not be an issue, but wanted to give you a "heads-up". Definitely not worried about the high static compression anymore as I know this cam is going to bleed a good bit off anyways. Waiting on Ryan's input on compression / how big of a throttle body I need. Trying to figure out what stall I should go with. Just got my new trans in today from Dan Palumbo - great guy to deal with. Very happy with the deal I got on this. I was recommended 3200 at first, but wondering if I should actually go higher than that. This truck is a daily driver first above everything. No reason to go higher on a daily driver. If anything less stall. My Martin Saine billet converter stalls right at 3500. It is perfectly street-able, but probably not truly needed since I don't get to a track all that often. It does rev more when climbing a slow speed hill, (20-45 mph). I didn't like the stock converter and a milder cam, it would jump when putting it in gear. Last edited by 99dart; 03-16-2019 at 02:00 AM. I live in Massachusetts. So basically sea level. I don't really see elevation much, if ever. 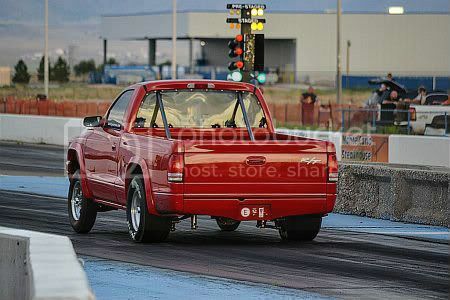 New England dragway would be where I'd be running when I do hit the strip. All about this thread right now! Working on doing very similar work to my rig as well. I have almost 150k on her, and am prepping to do a top end upgrade finally. I picked up some iron R/T heads for a great price, along with a mopar performance cam P4532864 230/234 @.050, 501/513 lift 108 C/L. 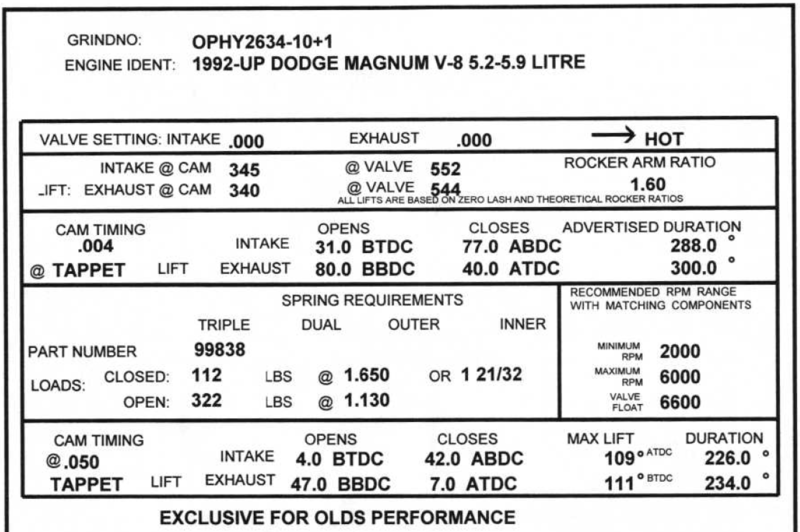 Apparently it was the same cam used in the Mopar 380HP crate engines. Anyways, any updates on your build? Did you decide on those Icon 741 forged pistons? They're going to hone the bores, install the new bearings, press the new pistons on the rods, gap the rings for me, throw the short block together, and check for piston to valve clearance and pushrod length. Nice you're really going the distance then! Good stuff!! Not sure if I can take it that far myself just yet. I'm not planning on pulling the engine out so rotating assembly is staying put. Even though it's soo temping to do the whole "well while I'm at it--mind as well" thing. I just don't have the means, I gotta get her back on the road for a fast turnaround. It's heads, cam, exhaust, and tune for me and hopefully nothing breaks lol. Good luck with everything, I'm definitely subscribed! Little update. Turns out, the pins included in the package when you buy these Icon pistons aren't the ones you need to run if you're looking to skip out on the balance job and I missed the memo there. I called Brian at IMM and he said he measured the factory crank to be about 20 grams overbalanced, and he uses the lightweight tool steel KB pins and that gets him close enough to not need balancing.